Abandoned by his father, orphaned by his drug-addled mother, and devastated by the murder of his sister, Michael McKeon was once a hardened “street dog who learned to play in traffic.” Years later, Michael is now a Bowdoin College professor with a wife and adopted daughter. When he creates a microbe that instantly cleans up any oil spill, no matter how large, by devouring the oil, that discovery should be the breakthrough that defines a career. But the microbiologist's life is ruined when The Global Group kidnaps his wife and daughter, forcing him to use his microbe to destroy all Saudi and Russian oil. As Michael races against the clock to save his family, he becomes a threat to the secret efforts of the American, Russian and Saudi governments to douse the flames in the Middle East by implementing a new Marshall Plan. Haunted by the loss of one family and determined not to lose another, Michael will do anything to save his wife and daughter, even if it means throwing the world into chaos. And heaven help anyone, even his own government, who tries to stop him. 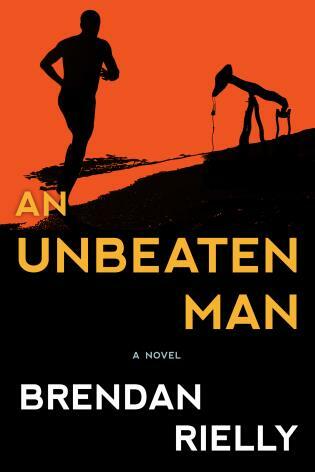 From the moment Michael's family is kidnapped, the action never stops, propelling him relentlessly from Bowdoin College’s deceptively tranquil campus in Brunswick, Maine, to a hidden laboratory in the United Arab Emirates; to Abqaiq in the desolate and unforgiving Empty Quarter; to the bitter isolation of the Sakhalin Island oil fields off Russia’s far eastern coast; and to the final showdown in an isolated dacha outside Moscow, where Michael may not survive the ultimate betrayal of discovering who is really behind The Global Group. Brendan Rielly graduated from Bowdoin College with a major in Government and Legal Studies and a minor in Russian before obtaining his law degree from the University of Notre Dame, where he also studied fiction writing. He has written for several newspapers and practices law in Portland, Maine. He lives with his family in Westbrook, Maine.